Jim is a successful youth climber with ambitions to break onto the senior circuit. Climbing has just been approved for the Tokyo 2020 Olympics, so Jim will no doubt be aiming to compete in the games. 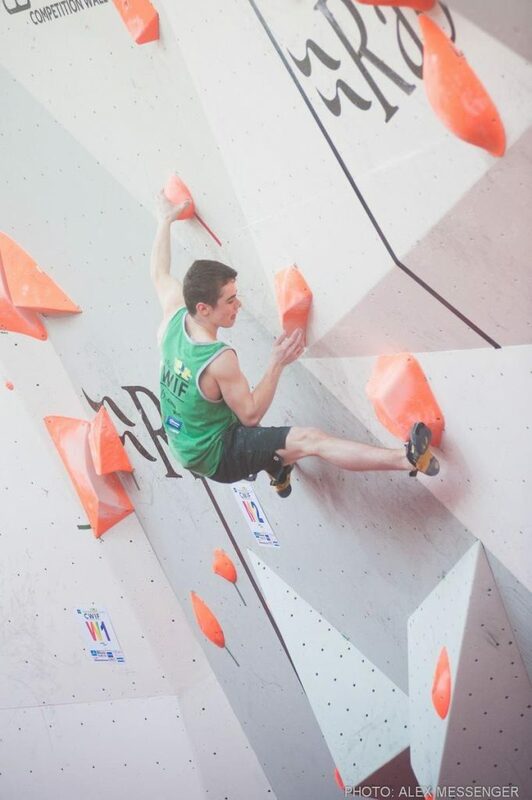 In 2015 Jim won the European Youth Cup round in Mitterdorf, Austria. He also placed 15th at the World Youth Championships in Arco, Italy. Jim does a lot of travelling in his sport, so funding is important to help him out financially. Jim is also the British Champion, winning the senior and junior British Lead championships in 2015. This year Jim would like to make a few more international youth finals, and the semi finals at a senior world cup. He would also like to try and hold his current national titles in junior lead and boulder and senior lead disciplines. As mentioned before, the Olympics is now a realistic aim for Jim if he keeps up his training and improvements. Jim was a GLL Sport Foundation Top Up athlete last year, but has now been nominated by his National Governing Body and been upgraded to a SportsAid award. 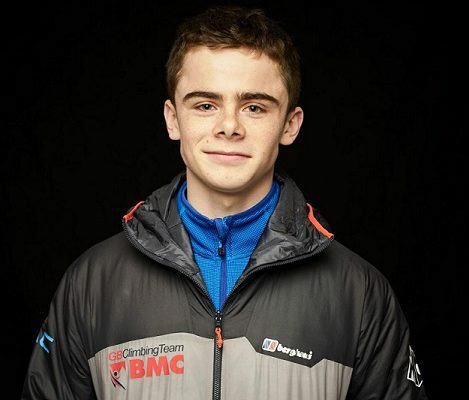 This award cycle he received £1000 from the GLL Sport Foundation in partnership with SportsAid, and this money will go far in helping him travel around to all his competitions. Jim, who is Hackney based will also be able to use any GLL/Better Leisure Centres to add in the strength and conditioning elements to his training which is very important in climbing. We are very happy to be supporting Jim for another year and wish him the best in the 2016 season!